One hundred years ago, the lights of stores lining Joplin’s main street blazed brightly as shoppers and spectators strolled the sidewalks in search of the perfect gift despite a mix of rain and snow. Merchants kept their doors open long after regular hours in the hope of attracting more customers and did so with success. Many businesses reported that the last few hours saw the “heaviest trade” of the season with people coming from all over the Four State region to peruse their wares. Churches throughout the city celebrated the birth of Christ with special programs and charitable organizations worked to ensure that even the poor were remembered and able to “forget their condition” for a brief time. Clothes, food, and toys were distributed to those in need. The majority of businesses reported they would be closed on Christmas, but mail carriers would have to make their rounds as usual. The city collector and the county sheriff announced their offices would be open, but all other city employees had the day off. *On a personal note, we here at Historic Joplin have much to be grateful for and ask that if you can, please remember those who are less fortunate this Christmas. Please consider making a donation to the charity of your choice or to a local food bank to help those in need. The Ozarks Playground Association (OPA) was founded in 1919 to promote tourism in the Ozarks. Headquartered in Joplin, the association published maps and brochures highlighting towns, resorts, attractions, and points of interest for visitors. The association eventually dissolved in 1979. Several of the maps and brochures have survived, but to this day, it is unknown what happened to the organization’s papers, i.e. minutes of meetings, correspondence, etc. If you know of a family member who was involved with the OPA or know about any individuals who may have OPA material, drop us a line. Although it is of relatively little monetary value, the papers of the OPA (if the papers still exist) are an invaluable part of Ozark history, and need to be preserved for future generations. 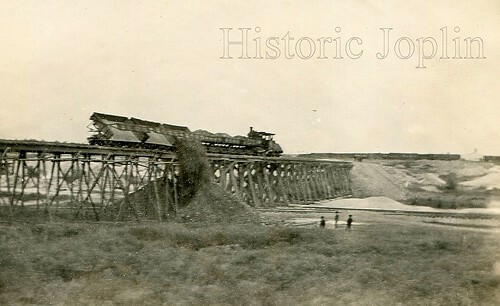 Joplin Union Depot: Under Construction! The depot nearing completion in March, 1911. It was the best we believed that existed of Joplin’s beautiful depot under construction. That is, until now. It is with great pride and excitement that we unveil and share with you a newly discovered photo of the depot in the process of being built. 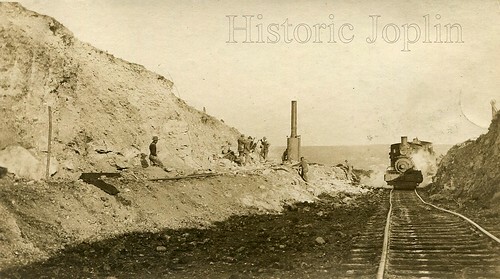 The Joplin Union Depot under construction sometime in the early months of 1911. Click on image to view larger sizes. By the appearance and state of completion of the depot and the background trees, we estimate that this photograph was taken sometime in early 1911, quite possibly after the one we posted previously. The photograph was taken from Main Street or just off of Main Street. Of particular note is that the exterior finishes on the building are incomplete, such as the architectural touches on the south end of the building, the lack of glass windows and the white exterior is in the process of being added. In the background, you can spot Eugene Field School (since demolished) sitting as the massive building on a hill. 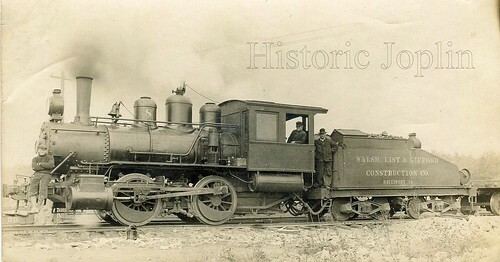 Regretfully, we know little about the photographer, other than he may have worked for a railroad and lived in Oklahoma. If you still have not read our five part history of the depot, you can find it at the following links: Part I, Part II, Part III, Part IV, and Part V.
Also, watch for more photographs associated with the construction of the Union Depot, which while not of the depot itself, are still quite fascinating and depict a previously discussed post on our site! A fortune in zinc ore. 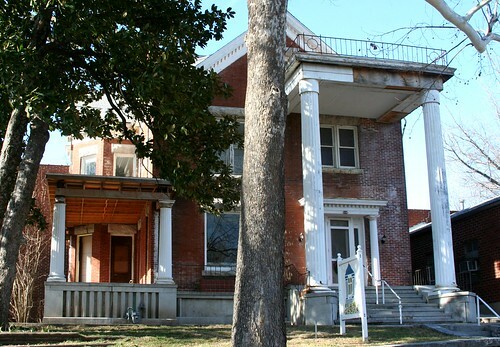 In the fall of 1924, South Joplin became home to the “House of a Thousand Shines.” Paul W. Freeman, of the John W. Freeman Trust Company, built a unique residence at 3215 Wall. The Globe reported, “As one drives past it on a sunny afternoon, little beams of light twinkle first here, then there in the walls, until the spectator is led to believe the house is studded with diamonds.” While his stucco house was under construction, Freeman found out that gravel typically used in stucco house construction cost $40 to $80 a ton and had to be transported from Michigan or Ohio. 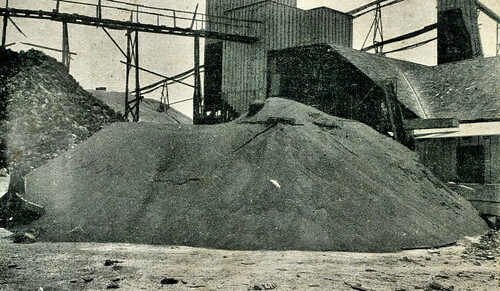 He then decided to use lead and zinc ore “instead of gravel as a splash for the walls.” After the “cracked ore was screened to eliminate the finer particles” the entire six room bungalow was covered in a ton and a half of zinc ore. Five hundred pounds of lead was used on the porch columns. Apparently pleased with the results, Freeman told the Globe that lead and zinc ore could be used as economically as out-of-state gravel, although it is unknown if other local residents chose to use it instead of other alternatives. While Wall Avenue no longer extends into the 32nd block, it is possible the house still survives on Oak Ridge Drive. 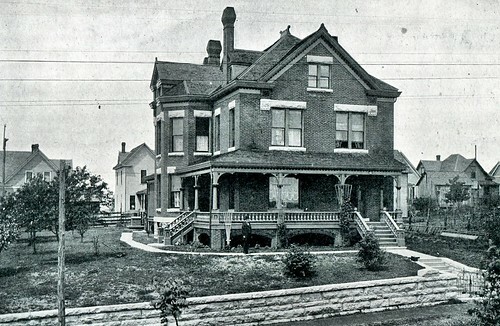 The Cragin Mansion, circa 1902. Along the streets of North Joplin, one can still find stately homes interspersed alongside modest bungalows, reminders of a bygone era. At 516 North Wall Street stands one of Joplin’s oldest surviving homes, Cragin Mansion. The mansion was built in the 1880s by Eber Alonzo “Lon” Cragin, a native of Vermont who became a successful attorney in Iowa, and later retired to Joplin. Cragin’s son, John A. Cragin, subsequently relocated to Joplin, intrigued by the business opportunities to found in the mining boom town. John A. Cragin soon found his niche, helping establish the First National Bank of Joplin. Both he and his wife Minnie became respected members of local society. Minnie was well known for her gracious hospitality. Eber Alonzo “Lon” Cragin, the first Cragin to arrive in Joplin and builder of the Cragin Mansion. Lon Cragin and grandson, John Howard Cragin. The Cragins became even further firmly intertwined in the fabric of Joplin society when John A. Cragin’s sister Susan married Peter Christman of Christman Department Store fame. According to family lore, John A. Cragin was a silent partner in his brother-in-law’s business. The Christmans lived in the handsome mansion with both the Lon and John A. Cragin families in a multigenerational family household. 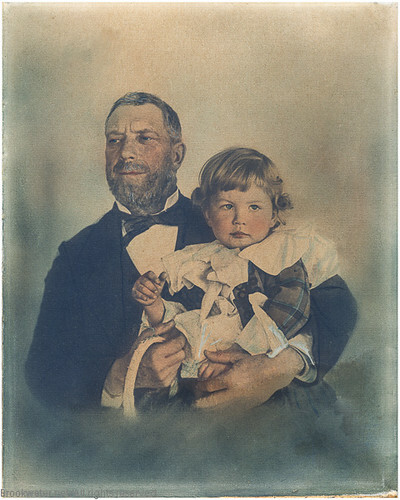 Peter and Susan Christman, although childless, helped raise their nephew, John Harold Cragin. 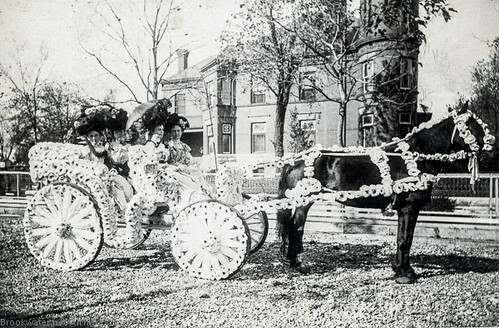 Flower Parade in front of the Schifferdecker House with Minnie Pease Cragin (wife of John A. Cragin), seated on the left side of the front seat. John A. Cragin, started as a cashier at the First National Bank and eventually became president. In 1912, eighty-two-year-old Lon Cragin fell while raking leaves and passed away. After his son John A. Cragin died in 1924, Lon’s grandson John Harold Cragin moved into the family home. The young Cragin followed his family into business and finance, making a fortune in stocks before the Great Depression plunged him into debt, which, according to the family, he repaid and still managed to retain ownership of the family mansion. Despite the family facing serious financial challenges at a time of great uncertainty, Cragin’s cook Anna Bland always fed unemployed men who knocked on the back door of the mansion searching for a meal. 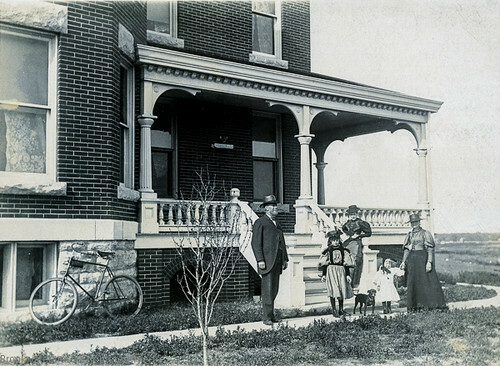 A family portrait in front of the home. From left to right: Pete Christman, Unknown Girl, Susan Cragin Christman, John Harold Cragin, son of John Adna Cragin (brother of Aunt Susie) and Euphemia Graham Cragin. 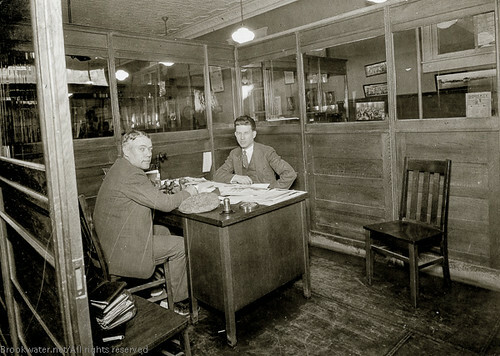 Harold Cragin (right) in his office located in the Empire State Building at 6th and Joplin St., Joplin, MO. John Harold Cragin married and had three children, but the marriage ended in divorce. One daughter, Betty Jane, married and moved near Sarcoxie. John’s only son, John Marshall Cragin, went away to college and later to a 20 year career in the United States Army. Thus, Cragin and the last of his daughters, Lynn, lived in a home full of mostly unoccupied rooms until the outbreak of World War Two. She found employment as a draftswoman at Camp Crowder and many of the home’s rooms were rented to married servicemen and their wives from the 303rd Signal Battalion. Cragin’s daughter met her husband, a soldier named Prescott, when some of the home’s temporary occupants set her up on a blind date. The two became engaged and Lynn left Joplin for married life in California. The mansion, meanwhile, was put up for sale and purchased for $12,500 by a relatively young Bible college in October, 1944. 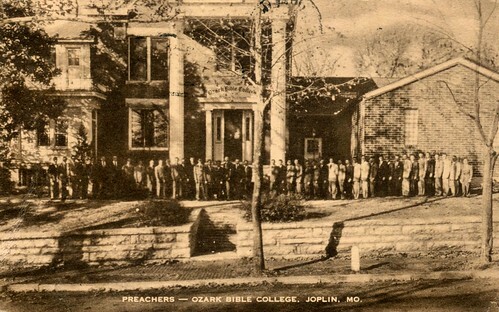 The Ozark Bible College has called Joplin home ever since. The first non-Cragin inhabitant of the home, the Ozark Bible College. The church converted the mansion was into its new spiritual home. It served as a girl’s dormitory, housed classrooms, the cafeteria, and administrative offices. The residence was expanded in 1953 to add room for a large chapel, additional classrooms, and a library. A year later, 176 students attended classes at the college at 516 North Wall Street. In the 1960s, the college outgrew its space and moved to its present location and took the new name of Ozark Christian College. A church made the mansion its home after the college departed and since then, the former Cragin residence has played host to numerous religious organizations through the present day. It is now the location of the Neighborhood Life House. 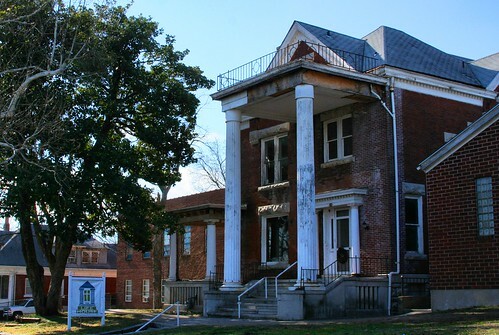 For over a century, the Cragin mansion has stood on North Wall Street, once home to one of the prosperous families of Joplin and now a home to the Joplin community, bridging the divide between the city’s past and its present. The Cragin Mansion in 2012, home to the Neighborhood Life House. Photos and family history courtesy of Cragin descendant, Galyn Prescott Metcalf and John M. Cragin. 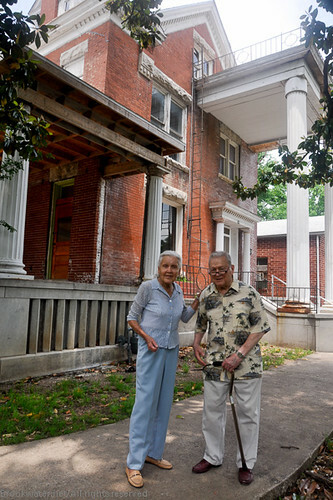 Visiting their childhood home in 2011, Lynn Cragin Prescott and her brother, John Marshall Cragin. The interior of Sky High Castle includes hand-hewn beams overhead, two cast-bronze ceiling fans that feature retractable fan-blades, two floors each having a large stone fireplace, and many windows taking advantage of the surrounding views. Outside, the property is also special. 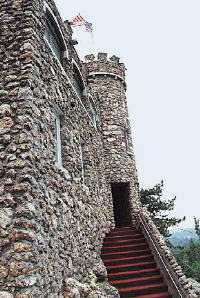 The Castle is perched atop a hill and large chert, stone cliffs overlooking a river valley where Shoal Creek flows. The striking appearance comes from the fact that the Castle and cliffs are made of the same color of stone, so that the whole is of impressive height and width. It is 180 feet of elevation change down to Shoal Creek below. The hillsides have been terraced with many rock walls at various levels. Walkways and stairs lead around the property offering many splendid views of the valley and Castle. Rose moss, phlox, carnations and columbine make a home on the rock walls and terraces. Surrounding the Castle are oak woods and a city park along Shoal Creek comes up to the property line on one hillside. The Castle can be viewed from the town of Redings Mill below. This is true now more than in the past as some clearing has been done. For photographs of the interior of the castle, just click here. It stands undoubtedly one of the most unique homes in the Joplin area. If you know any stories of the home, please feel free to share them! The dedication of the Sunday tabernacle began with five hundred strong choir voices shaking the rafters of the structure with “Wake the Song” and “Crown Him King of Kings.” On Sunday night, November 21st, the tabernacle was filled with six thousand “earnest, enthusiastic listeners,” who were eager to touch upon the excitement of the impending revival. After an invocation by Rev. J.R. Blunt of the South Joplin Christian church, and a few other introductory speakers, the guest-speaker of the night, Judge H.E. 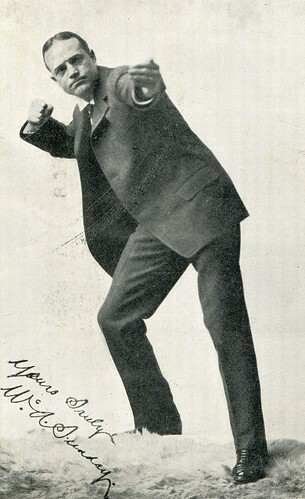 Burgess, of Aledo, Illinois, took to the podium that stood before the vast assemblage with the choir to his back. Burgess described the opinion of the evangelist by the citizens of Aledo, prior to Sunday’s arrival. They had “the same idea of Mr. Sunday – that those of any other city had – ideas merely gotten from rumor and hearsay that Mr. Sunday was simply an erratic grafter, who had discovered his wonderful gift of eloquence and personal magnetism, and was using this gift in a religious way merely because of the money he might thus gain.” It was an idea that was likely shared in Joplin by those less eager for Sunday’s presence, and a skepticism that had originally painted others like Burgess in Aledo. 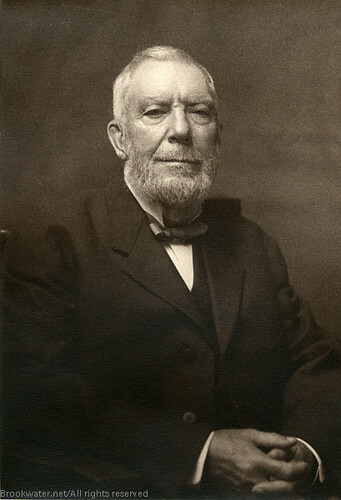 But, Aledo stated that as Sunday began to preach and he witnessed the effect on others, “…we unregenerated people began to sit up and notice.” For the power that Burgess ascribed to Sunday was one of indifference to appearance of proper church membership and an unflinching readiness to call out anyone that “a sinner is a sinner, no matter what kind of a front” the individual might put up. The challenge that hypocrites would be spotlighted by Sunday undoubtedly was an exciting one for those who believed themselves immune and a nerve wracking one for those who feared public humiliation at the hands of the Evangelist. However, a desire to call out hypocrites was not limited to Sunday nor reserved for his arrival. The Democratic newspaper, the Joplin Daily Globe, opted to beat Reverend Sunday to the punch with a front page column in its morning edition, published the day of Sunday’s expected arrival, which repeated the findings of a Grand Jury on the recent crackdown of prostitution. The report stated that contrary to published reports, the crackdown that netted two madams and their ‘sinful sirens’ had been the order of the police judge, Fred W. Kelsey, not Mayor Guy Humes, and in fact the arrest had “astonished the mayor, chief of police, city attorney and other city officials…” The report concluded that prior to the arrests and thereafter [Editor’s emphasis] that “..bawdy houses, have been, and are now, running wide open to the public.” Finally, the Globe alleged that the same women were now hidden away in the countryside by the actions of the Republican city officials, as part of an attempt to create an appearance of cutting down on crime. Of note, the Grand Jury Report declared it had found no appearance of an agreement or contract between the city officials and the criminal offenders. At the same time as the Globe pointed fingers at Mayor Humes, police chief John A. McManamy continued the civic crusade against crime with a crackdown on turkey raffles (the day before Thanksgiving). Described as a dice involved ‘wheel and paddle’ method to turkey distribution, and a corruption of a more charitable means of giving, the police chief declared that the turkey raffle was too close to real gambling for his liking. As a result, the fowl affair was shut down. 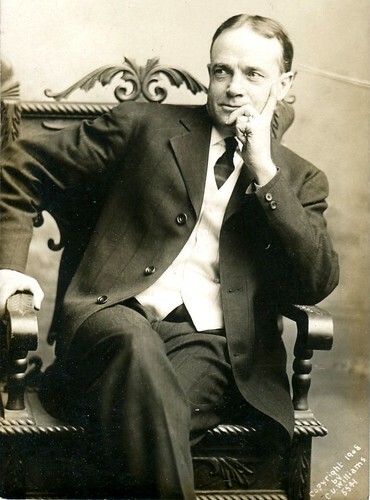 It was only a few hours later in the afternoon, when a train pulled into Joplin and the Reverend Billy Sunday disembarked. Around 6:30 pm, the excited crowds filled the tabernacle located on Virginia Avenue between Fifth and Sixth Streets and took whatever seats they found open and not reserved. The reserved sections were set aside for boys and girls, families of the ushers, and the deaf and hard of hearing. In addition, a telephone-like apparatus was setup with a microphone by the podium to handsets in the back, for those who failed to reach the hard of hearing section to hold to their ears. The reverend also addressed the issue of collections. “In one day a circus will take $20,000 out of the city and it won’t leave one incentive for anyone to lead a better life. We surely ought to be able to get one-third as much in three weeks as the circus does in one day. God’s hardest job is to convert a stingy man.” The money, Sunday explained, went purely to the operation of the meeting and saving souls. Thus, Sunday had established the battleground upon which he intended to fight. Like many of the pre-Prohibition evangelist of the day, alcohol existed as one of the chief evils of society. Remove it and those who supported its distribution and a society would be down the path to peace and happiness. It was one of the chief pillars of vice that Sunday fought against and would become an even wider electoral battleground in only a number of weeks. 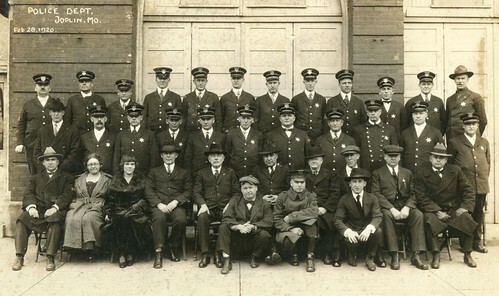 Below you will find Joplin’s finest in 1920. 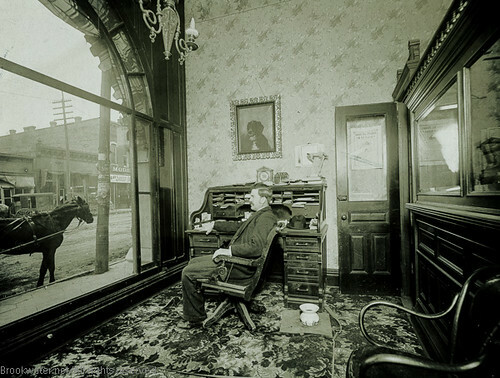 The chief at the time was Joseph Myers and the photograph was taken in front of the old city hall. Behind the large doors behind them would have been stored some of the city’s fire engines.